How small cells are becoming an integral part of futuristic mobile networks? LTE as a technology and air interface has been hogging the bulk of limelight in the world of wireless communications. But another strategically crucial technology that many major mobile operators globally are going after is the small cell. 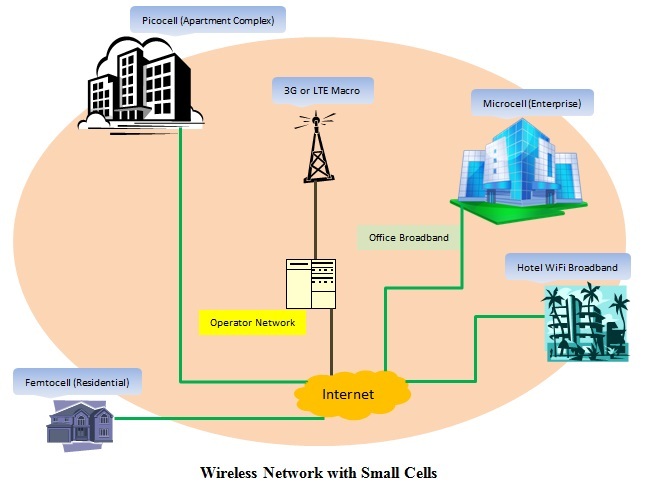 In simple terms, small cell is a miniature version of the traditional macrocell. It compresses the attributes of a cell tower like radios and antennas into a low power, portable and easy to deploy radio device. Small cells typically have a range varying from 10 meters to a few hundred meters and are used by operators to either offload traffic from the macro network in a high density short range environment or to strengthen the range and efficiency of a mobile network. Before going into further details about small cells, have a look at the following diagram that illustrates how they fit into an operator’s network and strategy. Augmented coverage and capacity – The quality of signal on a device and whether that signal is good enough for multimedia data browsing are two factors that decide a customer’s experience in the mobile world nowadays. Small cells bring ubiquity to this idea, along with the added advantage of low latency. So whether you are in a packed stadium or office basement, you will be covered. Superior in-building and cell edge performance – Contemporary wireless networks regularly face issues of poor coverage inside buildings and in areas far away from the cell tower. Small cells significantly improve the overall experience in such circumstances. Support for various environments – The main conclusion to be drawn from the diagram above is that these tiny base stations find utility in multiple scenarios. Femtocells inside a house not only provide 3G or higher level speeds, they also reduce strain on the user devices’ battery. And all this is achieved by using the Internet service provider’s backhaul. At an enterprise level, microcells enhance service quality in the highly dense office environment. Similarly, they can be equally effective in remote rural or dense urban spaces. Easier technology integration – Small cells can be integrated with all flavors of 3G, LTE, LTE-Advanced and WiFi technologies. An operator’s small cell strategy could be influenced by the type of wireless technologies it has deployed, the area of service and regional demand. Microcells, picocells and femtocells are fortunately compatible with all major types of wireless networks. Higher spectrum bands are welcome – Recently, the mobile network providers have been fighting a battle for the lower band spectrum below 1 GHz. But since limited propagation characteristics are not an issue for these miniscule networks, and more bits/Hz are required, spectrum over 2 GHz is considered good. The FCC in US has been pushing for 3.5 GHz spectrum for small cell networks. Some stakeholders have asked for unlicensed spectrum for such networks. Europe is said to be discussing the 2.3 GHz TD-LTE spectrum this purpose. Long term solution for the operator – Even though more base stations and state-of-the-art technologies can be deployed to temporarily resolve network congestion issues, the demand will generally exceed the supply. However, small cells are designed to offer adequate network resources to handle growing data demand for a few years within a specific environment. Attractive business case – The reduced capital and operational expenditure (CAPEX/OPEX) involved in the small cell ecosystem has made them a tempting business proposition for the mobile service provider. Studies have shown that the cost of radio equipment for small cells could be just one-tenth of the corresponding costs for a macrocell. The ease, flexibility and swiftness of deployment make such networks even more appealing. Many operators and vendors around the globe showcased their small cell strategy and progress at the Mobile World Congress (MWC) in Barcelona earlier this year. Vodafone emphasized that this technology is vital to their network portfolio. The telco plans to deploy about 70,000 small cells within the next 2 years. Korea Telecom announced that they have 18,000 such cells already active in urban areas of the country. Samsung Mobile was tapped by Verizon as a vendor for indoor LTE small cell solutions. Verizon already had similar partnerships with both Alcatel-Lucent and Ericsson for indoor enterprise and outdoor environments. 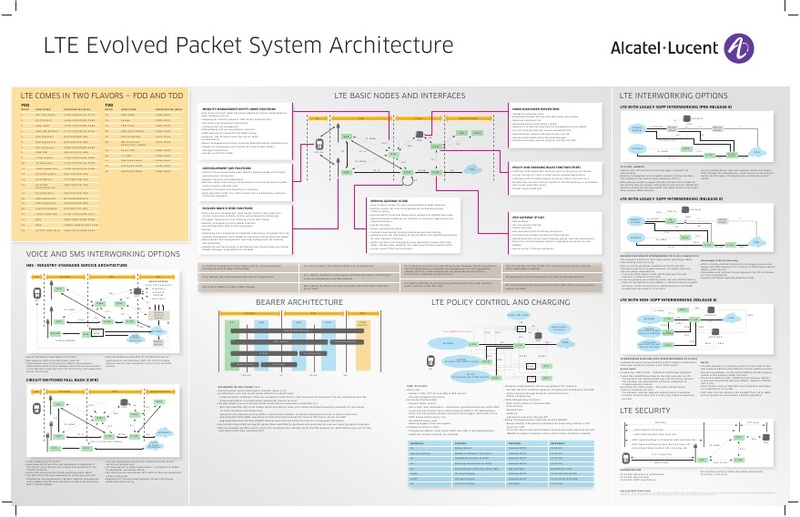 TIM Brazil, the country’s second largest operator, shared details about a deal with Alcatel-Lucent at MWC that will integrate femtocells into the carrier’s 3G network. SingTel from Singapore has been investing in these tiny networks too and has contracted Ericsson for the deployment. Many other small cell related developments have been picking up in the last year or so. AT&T’s 3G small cells are available in 18 states across the US. The operator has committed to deploying 40,000 multimode little base stations by the end of 2015. Sprint has been testing indoor and outdoor small cells for many months and intends a commercial launch later this year. The telco has also been running trials with Qualcomm’s network equipment. World’s biggest wireless service provider by subscribers, China Mobile, recently showed off a self-organizing outdoor small cell backhaul system as part of its TD-LTE network. Japan’s NTT Docomo has been using multiband small cell base stations for more than a year in some of its major markets. Note that as of now, most small cell networks operate on service provider’s existing spectrum holdings. But in the near future, dedicated airwaves could be allocated for these networks. Multiple recent studies and analyses have predicted a ramp up in the small cell market. Infonetics Research has reported that small cell revenue was a modest $771 million last year but will grow by 65% to $1.3 billion this year. According to their report, 642,000 small cell units were shipped last year and about half of them were 3G, although LTE is projected to take the lead this year. ABI Research forecasted $1.8 billion market for outdoor small cells in 2014. The Asia-Pacific region will represent half of the small cell market by 2019. Allied Market Research put the global femtocell market size at $305 million in 2013 and predicted that this could grow more than ten-fold to $3.7 billion by 2020. Although the predictions are upbeat, challenges remain for the small cell ecosystem. The cost and availability of backhaul for such stations is an issue. Because of municipal regulations, outdoor site acquisition can be a problematic process. The coordination and synchronization of these cells with local WiFi and the macro network is not as easy as it sounds. In urban scenarios, achieving line-of-sight may be technically difficult for low height in-building base stations. Despite these challenges, the overall small cell industry outlook is favorable. All major telcos and equipment providers have been evolving a small cell strategy. With consumers becoming increasingly intolerable towards bad wireless service, these tiny towers and stations are set to establish a niche but substantial market for themselves.